I need help I wired up some fog lights on my truck. It has a Inline fuse I put on. I was wondering where can I tap into for power. 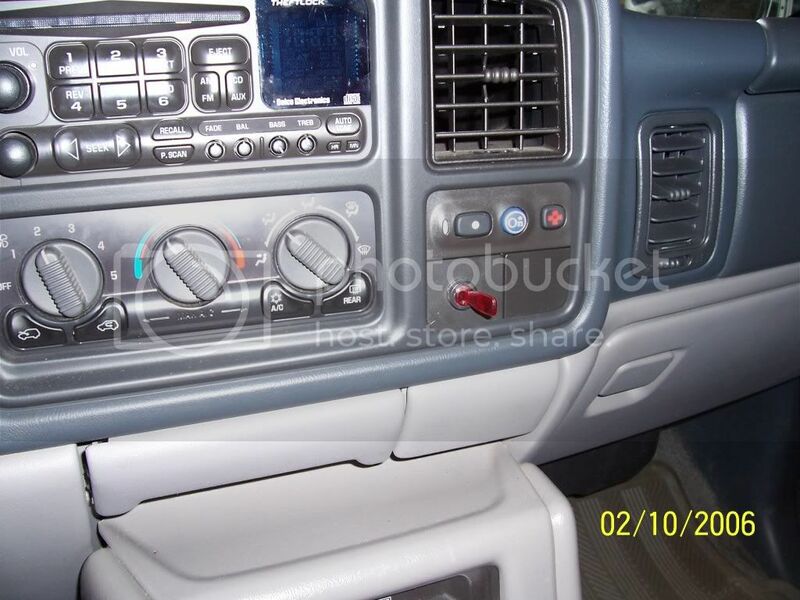 If I hook up to the battery will the light on the switch constintally stay on?? Will it kill the battery if that stays lit up while The truck is off? I only want the switch to be hot when the key is on if it will draw some power.. If it won`t draw power I could care less anyone want to throw me some tips please! 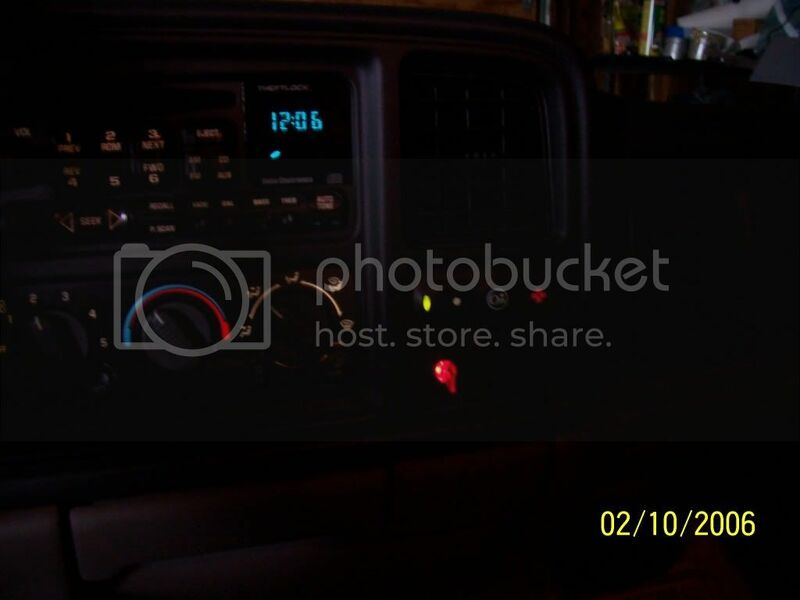 This is where my inline fuse is hooked up to in my dash fuse box. The first is an overall view, the second is a close up view. Just + and - and i guess it would be called the remote wire too..... It is the wire that sends the power to the lights. Is that terminal you have yours hooked up to hot while The key is off? What is it anyway??? I wanted to use a relay for my KC Daylighters, but I also wanted to keep it simple. The relay is under the hood so I only needed short lengths of fat wire (150W lights), and I only had to run one small wire into the interior. For power to the lights, I tapped the main power wire underneath the load center. I tapped the radio power wire to feed my switch to trigger the relay. This way, my lights (and the lighted switch) are controlled by the ignition switch. Just make sure you put a fuse in the circuit to the relay and another fuse in the circuit to the lights. Burned out melted wire caused by a short are no fun!